Hello! 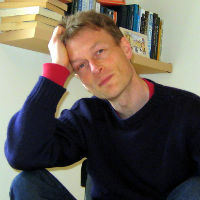 I'm Chris Woodford, a British science writer, and I write all the articles on Explain that Stuff. I've written lots of books on science and technology, including the hugely popular how-it-works titles Cool Stuff and How it Works (How Cool Stuff Works) (with Ben Morgan et al), Cool Stuff 2.0 (The Gadget Book) (with Jon Woodcock), and Cool Stuff Exploded (published by Dorling Kindersley/DK), which have sold nearly four million copies worldwide. A couple of years ago, I wrote Science: A Visual/Children's Encyclopedia with Steve Parker, which has been garnering lots of five star reviews on Amazon. 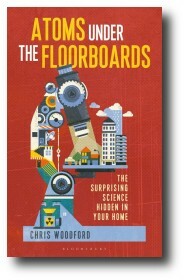 My latest book, Atoms Under the Floorboards: The Surprising Science Hidden in Your Home, is published by Bloomsbury and is available worldwide. I also work as a consultant and science adviser on other people's books, including children's science titles by Robert Winston, Johnny Ball, and Richard Hammond. Most recently, I've been helping David Macaulay with a revised edition of his classic mammoth book, The Way Things Work Now, which was Amazon.com's number one children's non-fiction book for 2016. Books I've written, edited, consulted on, or otherwise contributed to have been translated into about 20 different languages and won or been shortlisted for over 40 awards, including the Royal Society Young People's Book Prize (in the UK) and the National Science Teachers Association Outstanding Science Trade Book award (in the United States). Atoms Under the Floorboards won The American Institute of Physics Science Writing Award for Books 2016 and was named one of Physics World's Top 10 Physics Books of 2015. You can find a full list of my books, with review comments and details of the awards or other recognitions they've received on my personal website, chriswoodford.com. I've also spent a lot of my time working with computers and the Internet (I worked at IBM for about five years) and built my very first website in 1994, using an IBM System/390 mainframe and Mosaic. I had my first magazine article published back in 1981 (I was very young!) and I've been writing about science and technology pretty much ever since. You can find my books on the following sites. These are not affiliate links (I don't make money from any of them). If you're going to buy my books, I'd much rather you did it from your local friendly, independent bookstore. If you're in the United States, check out IndieBound. If you're in the UK, try the Booksellers Association. This website covers hundreds of different topics and no-one could possibly be an expert on all of them. I try my best to get things right, but I do sometimes make mistakes. If you find any errors, please accept my apologies. I'd be very grateful if you'd let me know so I can make corrections; I always fix things as soon as I hear about them (often within minutes, though sometimes it takes longer). You can send details through the feedback form. Thank you, in advance, for taking the time and trouble! As a matter of good professional practice, and in line with the US FTC Guidelines on Endorsements, I am very happy to declare that I have never accepted (and will never accept in the future) any money, gifts, services, or any other consideration of any kind from any companies or individuals in return for writing about or otherwise featuring products on this website.